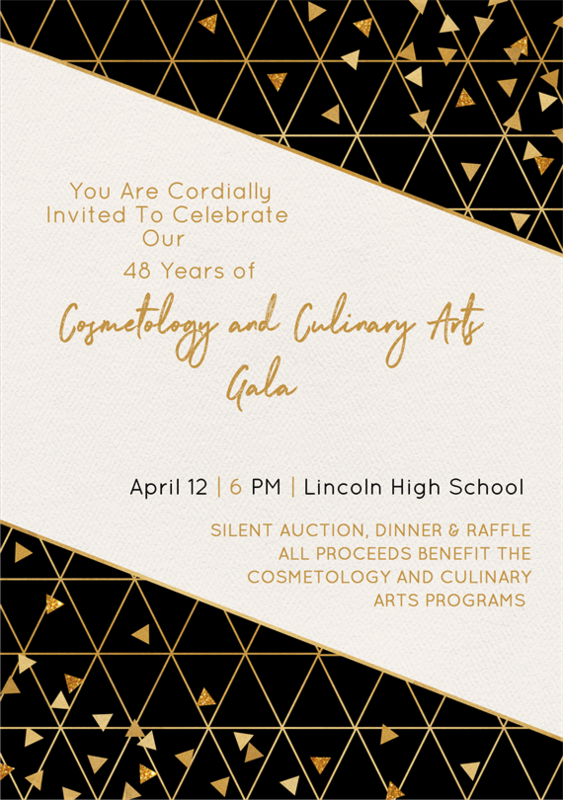 The Cosmetology and Culinary Arts programs at Lincoln High School would like to cordially invite you to Celebrate our 48 Years of Excellence. Please join us in celebration of the major accomplishments of both these magnificent CTE programs. We will highlight those who have gone through these programs as well as discuss the direction in which we are headed. There will be food, music and a silent auction. Cocktail Attire required. Tickets are $25.